We are counted as the leading supplier, distributor and trader of the industry, offering a wide array of Acetylene Gas Cylinders. These products are reckoned amongst the clients for their durability and easy installation. Our product range of dissolved Acetylene gas is widely used for welding & cutting purpose in combination with oxygen gas. We are manufacturing a wide range of Acetylene Gas Cylinders that are used in Automobiles, Electronic, Electrical Industrial Applications. The acetylene gas gives the highest temperature of oxygen gas mixture and it burns along with oxygen as a cutting and welding torch. 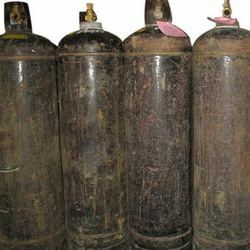 Looking for Acetylene Gas Cylinders ?